This is a really nice way to personalise a baby present. 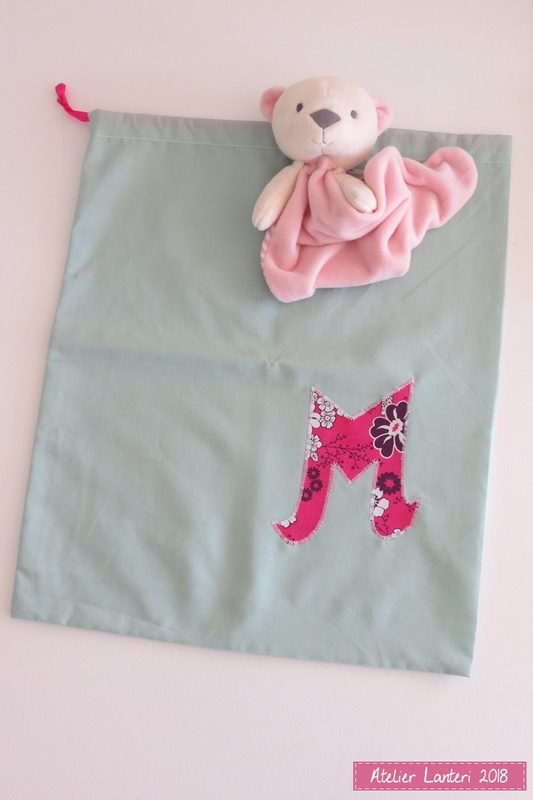 Monogram, cute bear, washing line... possibilities are endless and bonus points for using up cotton scraps or FQs! I used some bondaweb to fix the M to the green fabric, then zigzagged all the way around (slowwwly...). The bag itself is pretty easy to make. There are a lot of tutorials on youtube or blogs.